Progressive Lenses Multifocal Distanza Enjoy good vision at all distances! Distanza Multifocal is a monthly contact lens, for daily use, indicated for users with tired eyesight of all ages. Its manufacturing technology is based on its multiconcentric geometry, based on the transfer modulation function (MTF). The adaptation of this lens is very easy, with a high percentage of success, providing patients with good vision both far and near and at the same time a more positive and youthful personal image. Presbyopia can be corrected with reading glasses, bifocals, progressive lenses or multifocal lenses such as Multifocal Distanza. This versatile contact lens allows you to see up close and far in each eye. It can also be used in monovision, where one eye has a contact lens to see up close, while the other eye has a contact lens to see from afar. Depending on the extent of the monovision, a single contact lens may be all that is needed. The multifocal or progressive Multifocal Distanza lens guarantees good vision at all distances and also great comfort during many hours of use. With them you can work for hours on the computer or be exposed to adverse environments such as air conditioning, heating .., think for a moment how comfortable it could be to have a coffee on a terrace reading the newspaper and wearing the fashionable sunglasses that you like without having to graduate them. 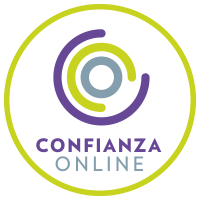 In Prodevisión you can purchase the cheap contact lenses online Distanza Multifocal in an easy, comfortable and at very competitive prices, enjoying all the security of purchase and security. We are a serious company with many years of experience in the world of optics (contactologists, we adapt lenses daily in our center). We are professionals. 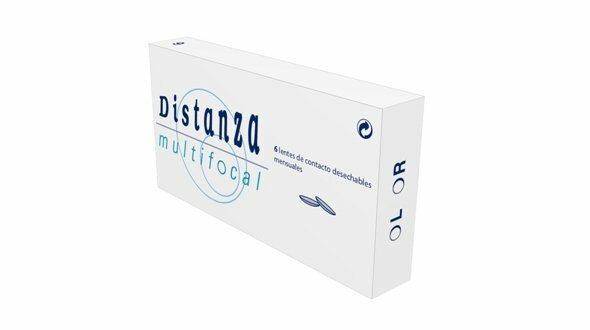 When ordering Your Distanza Multifocal monthly lenses in Prodevisión, it is necessary that the lenses have been prescribed by an Optical Vision specialist or Ophthalmologist, from there, you must place your order by copying the parameters of the last box of contact lenses that you have acquired , that is, the first adaptation has to be done by the professional who will assess vision, movement of the lens in the eye and also teach you the correct operation and maintenance of the lens. It is important to mention the maintenance fluid, usually called a single solution. This must be of quality (first mark, all liquids are not equal) and it is always possible to use it. A change of liquid can cause serious problems in the use of contact lenses. 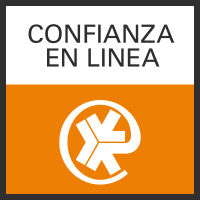 In Prodevisión we have the first and best brands of maintenance liquids on the market that assure you that they will take care of your eye and your Distanza Multifocal lenses with all the guarantees. It is essential to follow all indications of use of the manufacturer of the Distanza Multifocal monthly lenses in terms of hours of use, care, handling and replacement. Regarding the replacement is very important to respect it, given that, they are discarded thirty days after opening the blister in which they come from the factory (there are 30 put, but 30 days from its opening). The lenses with the passage of the days accumulate deposits of the tear, dust, environmental dirt, bad cleaning etc. If the lenses are not discarded they can trigger an eye irritation and consequently an allergic reaction.